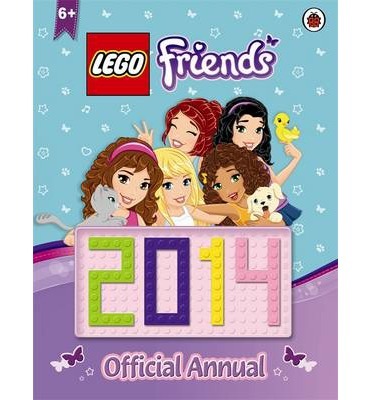 Amazon is selling the Lego Friends Official Annual for 2014 for £3.85, which is £4.14 off Amazon's RRP. It's £7.99 at Waterstones and £6.14 at The Book Depository. Shipping is also free on this offer, so it's a great deal, and you don't have to go out for it. This is apparently the first ever LEGO Friends Official Annual, a gorgeous book packed with stories, games and activities, all starring Heartlake City's favourite Friends, Mia, Emma, Andrea, Stephanie and Olivia. The annual comes with colourful LEGO bricks for extra play fun and at this price, especially, this is the perfect Christmas gift for children. The book says 6+ on it, probably due to both the bricks and the age of the activities. It's going to be fun to do with your little one on Boxing Day!